Unfortunately not everything is fun in life and with this topic I rather wish that I should not have to write about those kinda topics. Suicide among the youth is very common the last few years, especially with the LGBT (Lesbian,Gay,Bisexual,Transgender) youth. The reason why I still want to write something about it, is because I want a blog containing about the pinkness in our lives and this is just a sad part of it. We should not deny it, or cover our eyes for it, just because that it is not fun, too heavy or we simply want to ignore the existence. I think every kid has thought about ending his life once, but most young people, who were brought up with the fact that homosexuality is a sin, has thought that this was a better solution than coming out. I thought about it myself when I was younger and also tried to take my own life, but I could not go through with it. I just got scared, when I stood on the edge of our balcony on the 19th floor of our building looking down on the pavement. Also my thinking that I could not leave my family behind, made me not do it. It was not that I was scared to come out, but you are afraid how the world and your immediate family would react. And mostly how my life would change…… Afraid for the unknown, especially at a young age. I have seen parents kick their child out of their house and even that I knew that my parents would not do that to me, you are still not sure what is going to happen!!! When I searched information for my blog, I found this project/organization called Trevor and immediately after reading their site I knew I had to give them a special mention in my blog. 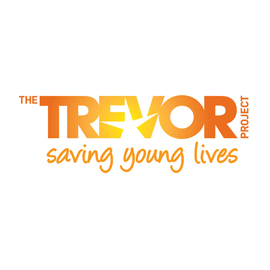 The Trevor Project was founded in 1998 by James Lecesne, Peggy Rajski and Randy Stone, the creators of the Academy Award®-winning short film TREVOR. 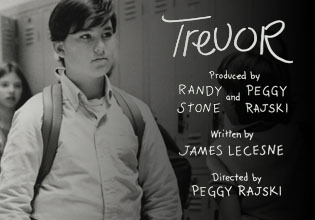 Set in 1981, TREVOR is a timeless coming-of-age story about love, loss, and learning to be yourself. Trevor is an exuberant, happy 13-year old who has a crush on the most popular boy in school, Pinky Faraday. When Trevor’s classmates discover his true feelings for Pinky, they tease and mock him. Sad and friendless, Trevor decides the world would be better off without him and tries to take his own life. But Trevor is no victim. By the end, it’s clear his developing sense of self and undeniable enthusiasm for life will always see him through. 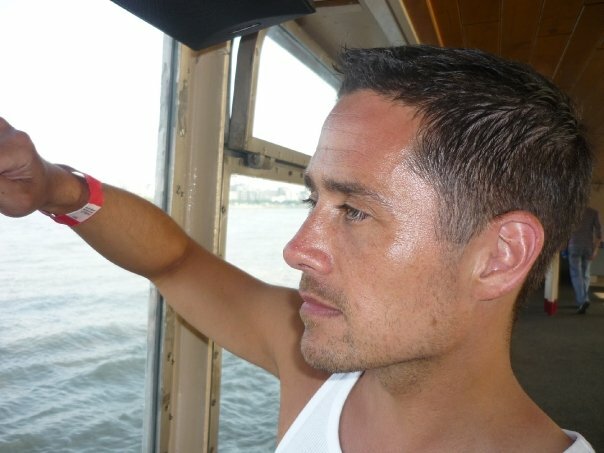 When TREVOR was scheduled to air on television, the filmmakers wanted an appropriate lifeline number to broadcast with the film. But no number existed in the United States and they really felt that there were some young viewers out there, who might face the same kind of crisis as Trevor and could use support. On August 8, 1998, the moviemakers opened themselves the Trevor Lifeline. Since that time, The Trevor Project has become a national leader providing crisis intervention and suicide prevention services to LGBT youth. 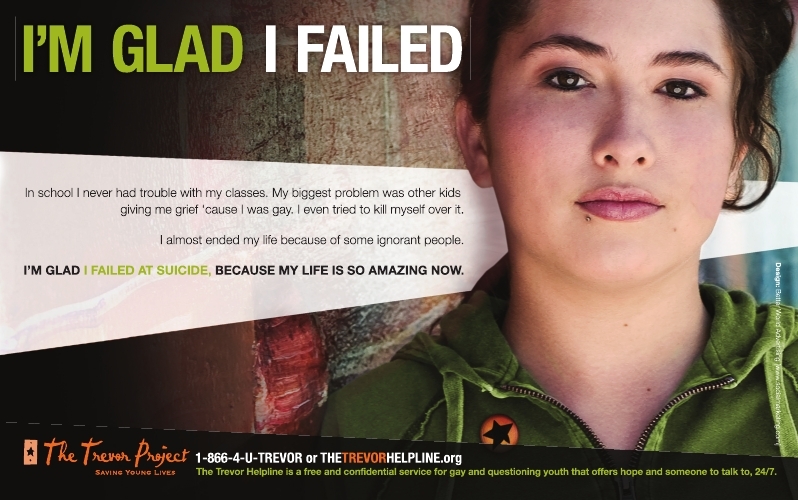 TREVOR went further and next to the only crisis lifeline number for LGTB teens and young adults, they offer unique suicide prevention services in this digital world nowadays. This includes counseling via instant message through “Trevorchat” and with the largest online social network for young LGTB people called “Trevorspace”. “Dear Trevor” is another online non-time-sensitive question-and-answer resource for young people with questions surrounding sexual orientation and gender identity. 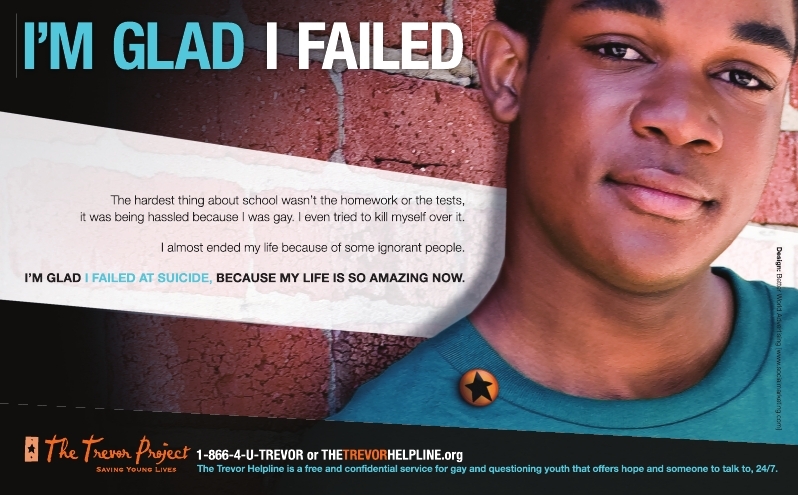 The Trevor Lifeline is the only nationwide, around-the-clock crisis and suicide prevention helpline for LGBT youth in America. The lifeline is a free and confidential service that offers hope and someone to talk to, 24/7. The lifeline’s trained counselors listen and understand without judgment. They can point out also other supportive organizations in your neighborhood. The Trevor Project is also a Champion of Change, an honor presented by the White House for their innovative work to save the lives of LGBTQ young people. On August 10, 2009, the project announced that it received a major cash donation to support the lifeline, from actor Daniel Radcliffe, a star in the Harry Potter film series. 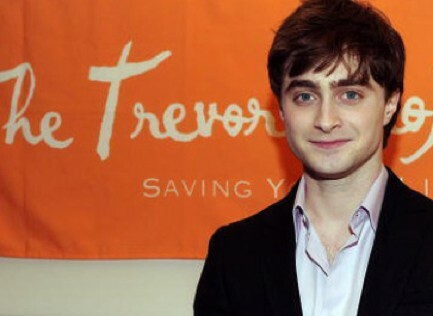 Radcliffe stated: “I am very pleased to begin my support of the Trevor Project, which saves lives every day through its critical work. 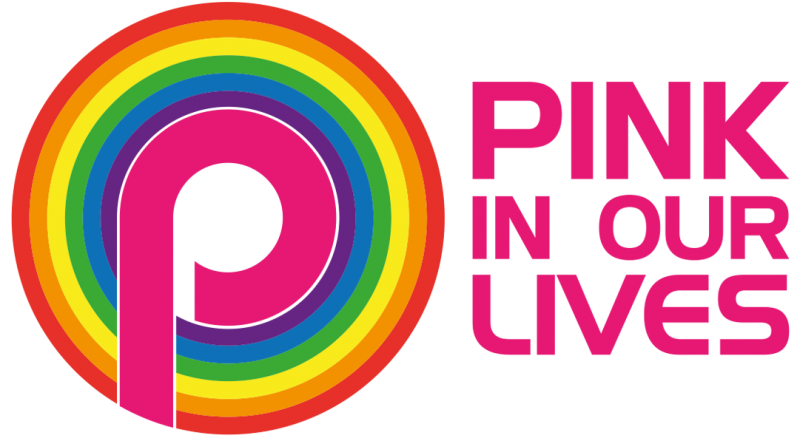 It’s extremely distressing to consider that in 2009 suicide is a top-three killer of young people, and it’s truly devastating to learn that LGBTQ youth are up to four times more likely to attempt suicide than their heterosexual peers”. The Trevor Project uses annual events to honor individuals and businesses that have been leaders in supporting LGBT rights and advocated against bullying and hate crimes. They started with the Trevor Hero award in 2005 and stars like Daniel Cunningham, Vanessa Williams, Lady Gaga, Daniel Radcliffe and Katy Perry are among the honorees. 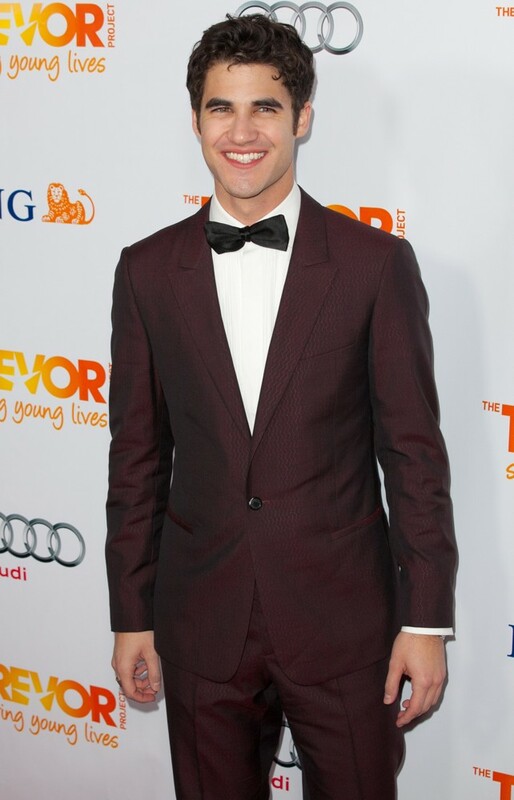 Next to it they present also the Trevor Life Awards who honors a person who is an inspiration to LGBT youth over the years. Among the winners are Rosie O’Donnell, Roseanne Bar, Sigourney Weaver, Neal Patrick Harris and Ellen Degeneres. 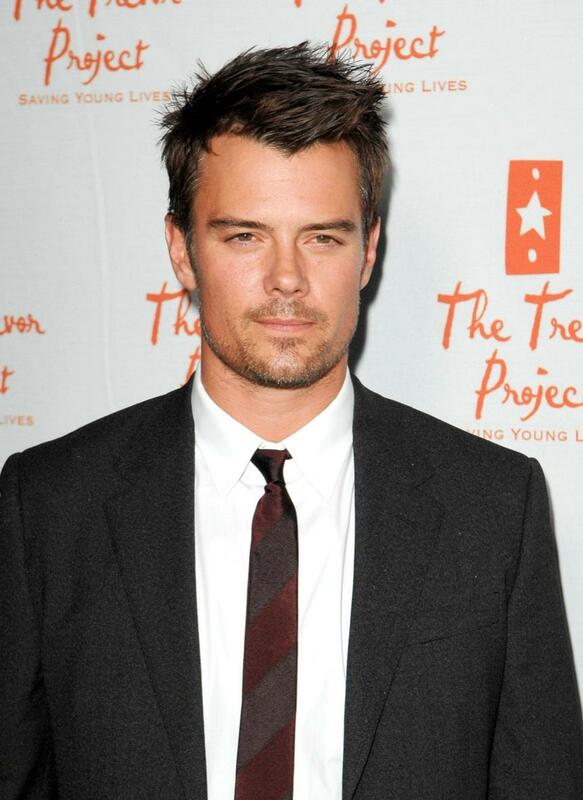 The organization gets a lot of support by so many stars like for example Fergie, Zoe Saldana,Amber Heard,Josh Duhamel, Darren Criss, Katy Perry and Zachary Quinto. It is a organization in the United States, but I think there is and should be in every country suicide hot lines or organizations, where you can talk with people about your thoughts and problems. Communication, information, understanding, noticing and listening to your children or other children can prevent the suicide rates among (LGBT) youth. I hope you have read this all, get positive thoughts and you are not the only one with these feelings. Just let me know, giveyour opinion or thoughts and most of all if you think life is not worth it or you think you are not worth it, make contact with people who will help you. We are not alone in this!!!! KEEP UP THE FAITH, AND KEEP FAILING AT THIS PLEASE AND REMEMBER TO KEEP SMILING. YOU ARE WHO YOU ARE AND THAT IS WHAT IT IS.